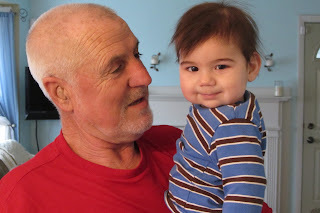 Three things happened this weekend that seemed like they may never happen. One: we're on the other side of all our winter bleh. Everyone has been sick and yuck and now we're done. Almost. Baby boy has a tinch left but it will soon be gone. OH yes, it will be gone. 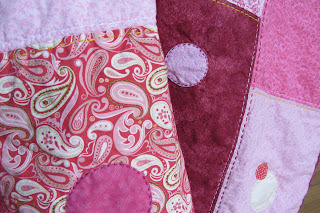 I finally finished my Pink Elephant Quilt! 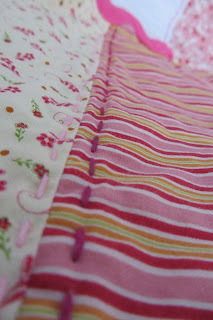 I knew I wanted to do hand quilting at some point in my life. So I made a little baby quilt and went to it.... 3 years ago. It kept getting pushed aside and I finally brought it back out recently. 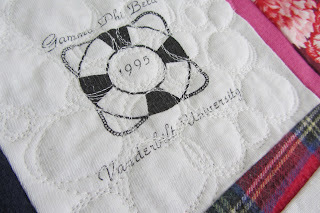 Yep, all hand quilted and I really love it. The stitches feel so good. It has a great texture. I actually started this before she was born. She's three now. Oy. 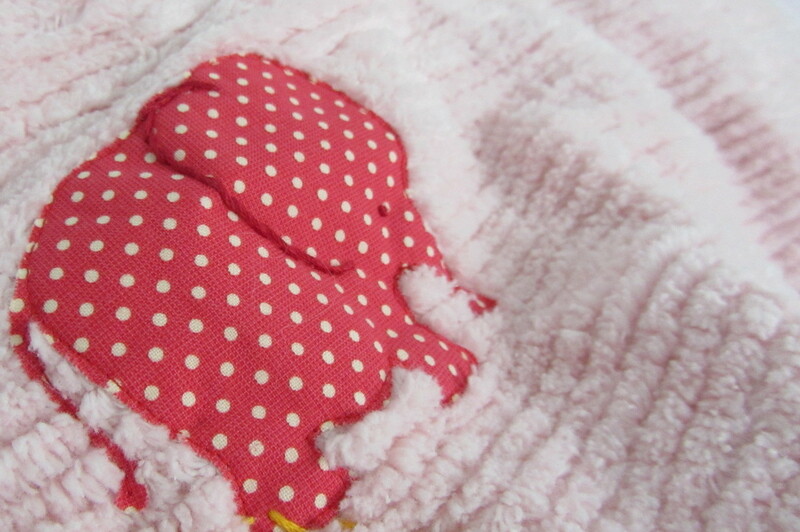 The back is half pink chenille and half pale pink cotton dots. I appliqued and embroidered a little polka dot elephant on the back. Yes it's my favorite animal. 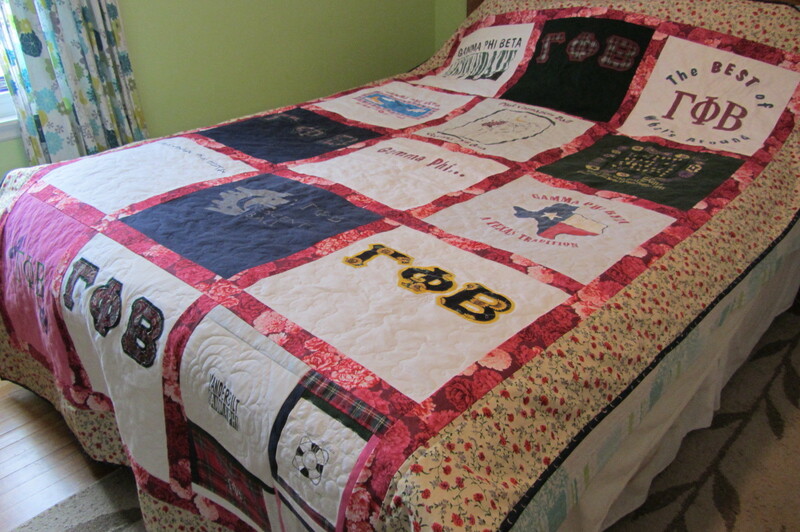 Lastly, I finished my sister-in-law's quilt! Woo hoo! This didn't take quite as long as the elephant quilt but nearly a year. So embarrassing. So the sorority symbols are pink carnations and crescent moons. Well how could I let a chance go by without getting that in fabric? The carnations were easy enough. 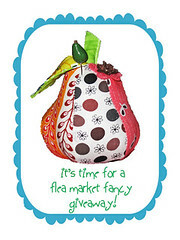 I actually found two and used one for sashing and a lighter print for the border. The moons however were a pain. A very expensive pain. I did find ONE repro print that wasn't baby-ish and it was about $10/yd. I really wanted it for the backing but not that bad. 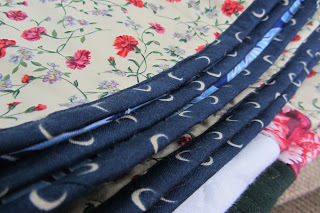 I chose to buy a yard and use it as the binding instead. I think that's where I got off-track with this quilt. I so badly wanted the moons for the back and kept wringing my hands about the cost or if I could find any other moon fabric out there. I couldn't. 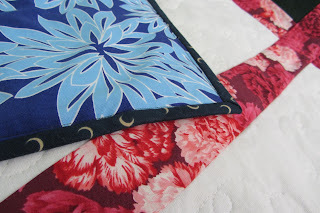 I quilted each t-shirt square with matching thread and then used gray in my bobbin. All the squares were the loopty loos except the mish-mash square at the bottom right where I combined 4 pieces to make one big square. I did each quadrant in a different FMQ. Here is my rockin' pebble stitch. What a great texture that has! But I don't think it would be fun to do an entire large bed quilt that way. It is super duper long. Get it,"A loooong time comin'"? My sister-in-law is tall but not 7 foot. Hopefully it is still well-loved and received anyway. My husband called it the 'rob' quilt because of the Greek letters. Elephants! Just another way you and I are the same. 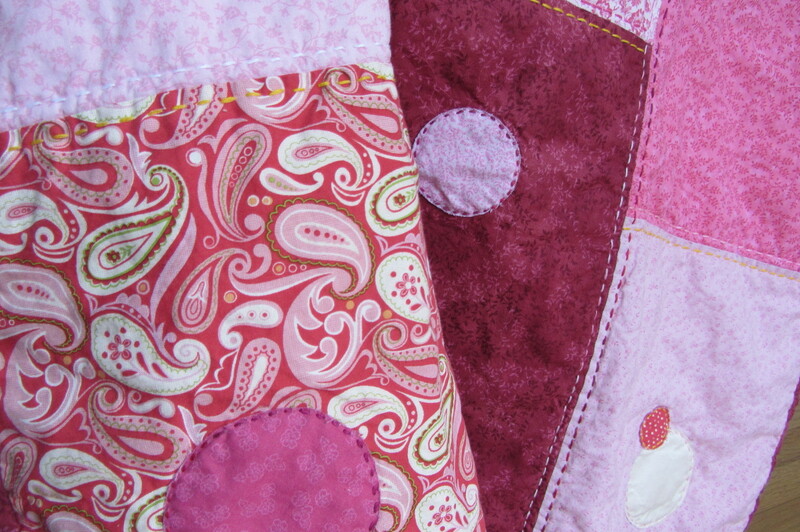 I have already fallen in love with your pink elephant quilt. Here's to a healthy February! I also love the pic of M all wrapped up.